I love giving photos of my son to his grandparents for Christmas. Usually, we have our family photos and his birthday photos done around Christmas and they make gift giving easy. This year, with the rush of life, we forgot to make an appointment. Oops! So, it was up to me to play photographer and come up with a nifty presentation. 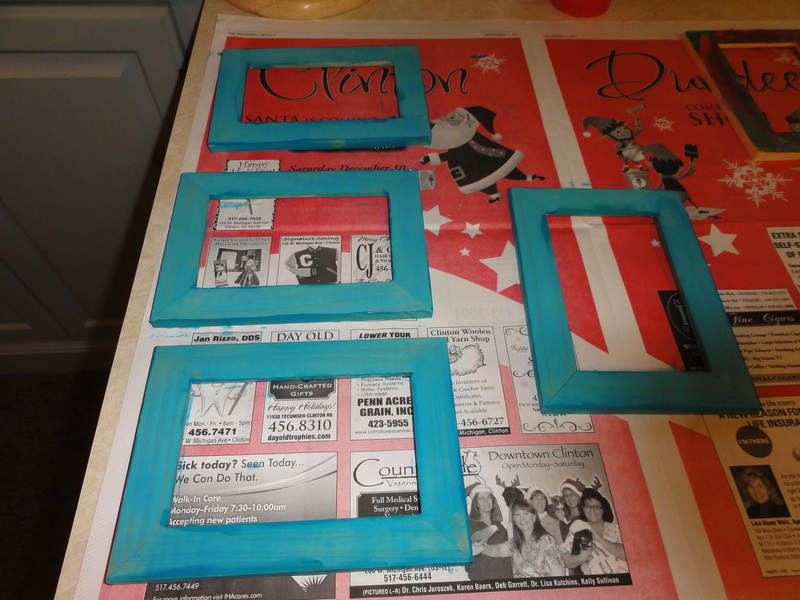 Keeping with this year”s desire to give homemade gifts, I took to pinterest for inspiration. 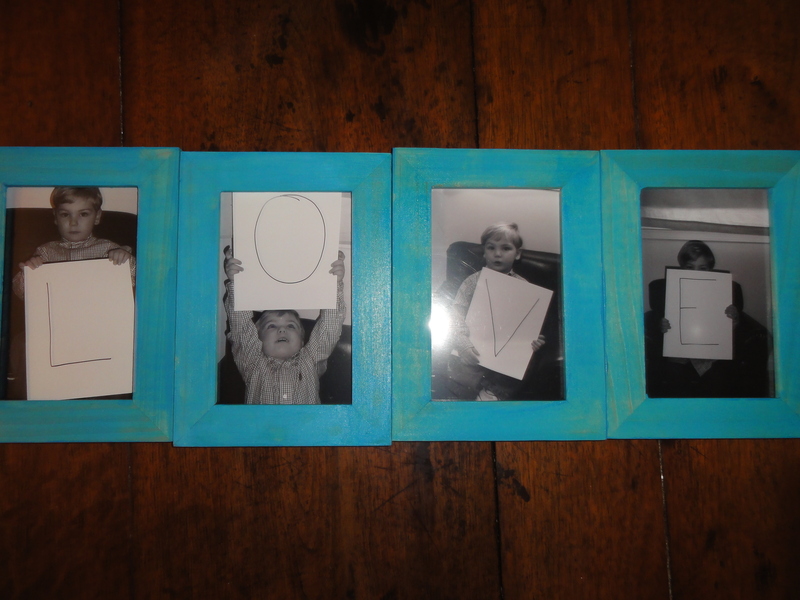 And found it here: I L-O-V-E You Photo Frame. Of course, I modified it a bit. They were less than $2 a pack. 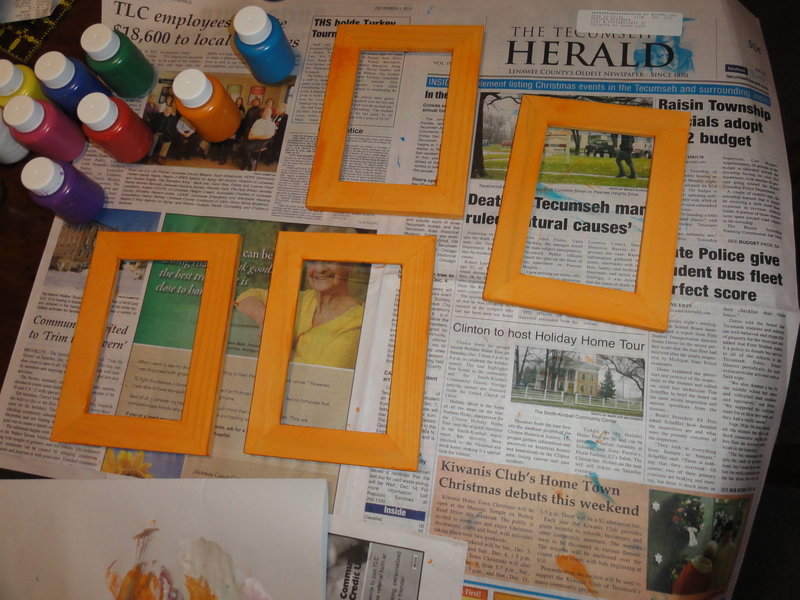 The frames don’t need to painted, but I wanted to give them a little pop! 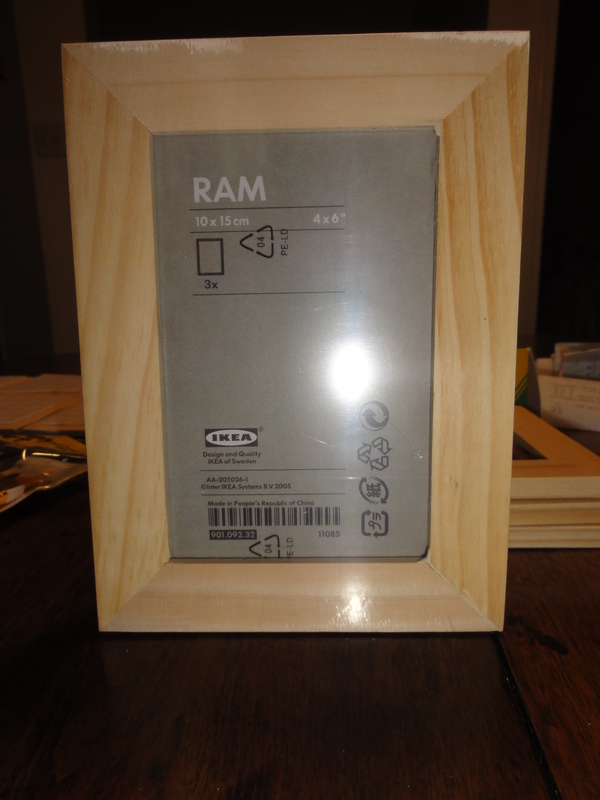 And, of course, the frames can be decorated any way you like. I may try, scrapbook paper and mod podge next time. After they dried, I sprayed them with a sealant. After all, it was washable paint I had used. I was a little worried that dusting them might rub the color off. The great thing about using four separate frames, is that the grandparents can hang or sit them out in any arrangement. I really hope that they like them as much as I do. I plan on doing a similar project, for father’s day, for my husband.